Preparing for overseas travel is a mix of excitement and nervousness. You might be wondering: Will I have a hard time communicating? Will I like the food? Will I get lost? Will I meet my soul mate? Will I EVER want to come back? However, long before you step off the plane onto foreign soil, the preparation begins. 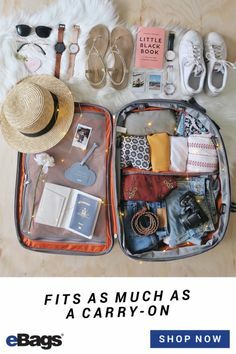 There are dozens of things you should do to prep for a trip to Europe, from learning the language to getting your passport squared away. The following five factors are easily overlooked, but can put a damper on an otherwise unforgettable trip if not thought about beforehand. Don’t forget them as you prep for your big trip around the world. 1. 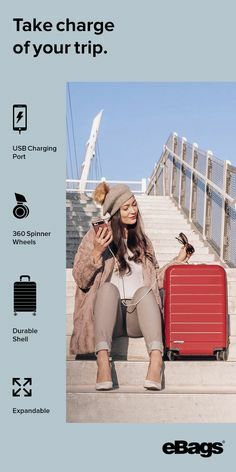 Will my suitcase fit? 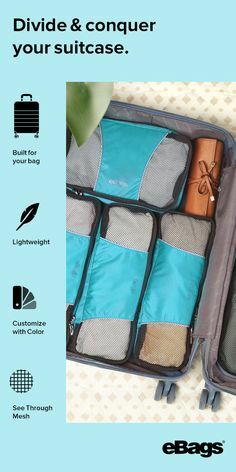 Pack light whenever possible, even if the weight restriction is high. A large suitcase is not only difficult to travel with, but can also make you a target for theft. Avoid checking your suitcase, and opt for a smaller international carry-on to avoid losing anything between flights. 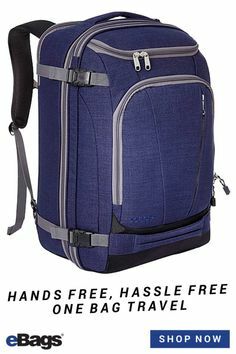 If you’re traveling to Europe, try to fit your items in a small suitcase or travel backpack as most flights between European countries have strict guidelines for luggage that can end up costing you more than the flight itself. 2. How do I overcome language barriers? Most people plan foreign trips without thinking twice about language barriers. It’s important to research the culture you’ll be surrounded by and try to learn some of the local language. *Hint: we didn’t learn any languages beforehand. At one point, our train broke down in Germany, and we had no idea what was happening because we couldn’t understand what the person on the loudspeaker was saying. During our week in Paris, we discovered that most Parisians won’t speak English to you, even if they know how. But, if you try to speak French, they ease up right away. Having at least some knowledge of common phrases in the country you’ll be visiting will make your experience more enjoyable and easier. Use a tool like this list of languages spoken by country to quickly and easily see what languages are spoken in the countries you plan to visit. Simply brushing up on basic phrases will be helpful. There are also plenty of translation apps that will help you translate words and phrases on the fly. Check out our review on Google Translation! 3. Do I need travel medical insurance? An important part of your preparation for overseas travel is calling your insurance company to see if you’re covered overseas, which is not a given. If you aren’t, you’ll need to purchase travel medical insurance—protecting you from any unforeseen injuries or illnesses while traveling. We recommend World Nomads because they are fair, affordable and easy. Do your homework and find the right insurance for your needs. If you don’t have travel insurance and happen to get injured, you’re risking paying up-front for medical attention, which can be extremely costly. For each destination or country you plan on visiting, you should research local laws, customs and medical care before your arrival. For example, if you need specific medications that aren’t accessible where you’re going, you’ll need to plan ahead. Keep in mind that some countries have strict laws for over-the-counter medications and will ask for a doctor’s note. 4. Should I book my room, train tickets, etc. before I travel? 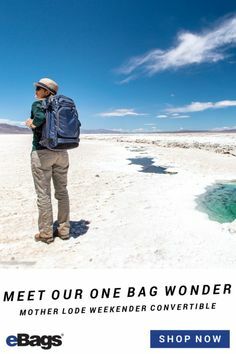 It may sound fun to book hotels or hostels as you go—a true backpacking experience. However, some countries won’t let you gain entry without proof that you’ve booked at least some kind of accommodation, even if it’s just for the first night. To prevent this costly mishap, have your accommodation booked and rough itinerary planned for the first few days. Include transportation in these plans as well. 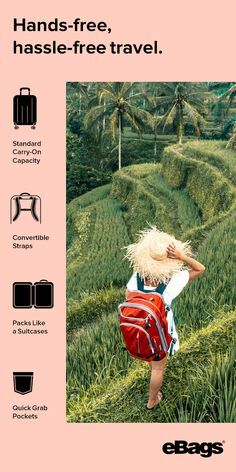 My husband and I researched Eurail packages quite extensively before going and realized it didn’t make sense for us, even though many friends had told us to get them. Looking back, we’re glad we didn’t. But, had we waited until the last minute, we might have gotten them and, in turn, wasted hundreds of dollars. 5. 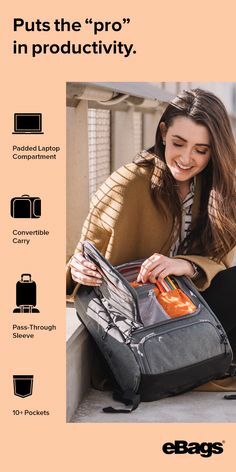 What documents do I need to bring with me? It’s common to bring just one copy of your passport, immunization records, medical insurance, travel insurance or visa. But if you lose your important travel documents, your trip can take a nerve-wracking turn. A friend of mine got her passport stolen in South America and had to ride in a taxi alone for hours, at night, to get the American embassy for a replacement. Always bring more than one copy of your essential documents and store them separately upon arrival. 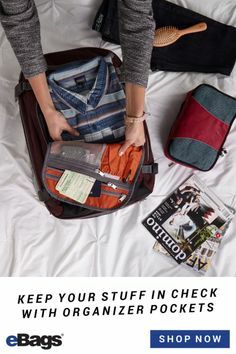 For example, you should always keep your passport on you in a secure passport wallet—but also keep a copy tucked away in your room. Consider scanning copies and emailing them to your mobile device as a digital backup. If you’re traveling alone with kids, some foreign border officials actually require custodial documents, so bring those with you as well. Traveling overseas can be a life-changing experience, and preparing before you go can make all the difference. In addition to being as prepared as possible, it’s always wise to keep the contact details of nearest U.S. embassy or U.S. consulate on hand—in both English and the local language. Now get packing, start planning, and have fun! BIO: Jessica Thiefels has been writing for more than 10 years. She is currently a lifestyle blogger and the editor of Whooo’s Reading and Carpe Daily. She’s been featured on PBS.org, and Tripping.com. When she’s not writing or editing, she’s trying new DIY projects around the house or training fitness clients. Follow her on Twitter @Jlsander07.